To compete, enterprises need to be trusted. To be trusted you need to provide the best possible security and resiliency. IBM Z offers pervasive encryption with millisecond response times and is designed for DevOps innovation, a stronger cloud, real-time insights and secure blockchain transactions. The z14 family includes a dual-frame and new single-frame model and are made for trusted digital experiences – more security, real-time insights, and able to instantly scale. This earlier generation dual frame offered best-in-class security, real-time insights, high performance, and the ability to scale. It was the best mainframe available until the z14. This single frame offered many of the capabilities of the z13 in a small footprint. It was the mainframe for secure cloud and real-time analytics – at an entry price. In a click you can review side-by-side specifications. See how you can accelerate your digital transformation. Find product information on earlier models. Make the most of your investment with software for security, cloud, analytics, DevOps, and more. IBM Z runs on a variety of operating systems, and provides a scalable and secure IT infrastructure. Get a secure cloud, real-time insights, enterprise DevOps and more. IBM innovation is built in – from encryption to simultaneous multithreading. 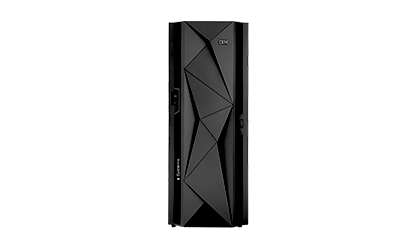 Quickly find IBM Z mainframe hardware, operating systems and software products. Speed your transformation, drive growth with APIs – and build trust. Learn how to speed development and increase profitability. What’s the business value of a connected mainframe? Start with 300% ROI. See how you can enhance business value with operations on IBM Z. Read about the new open source community for IBM z/OS. Read the latest expert blogs and see what’s possible with IBM Z.
Stays ahead of cyber threats with IBM Z. 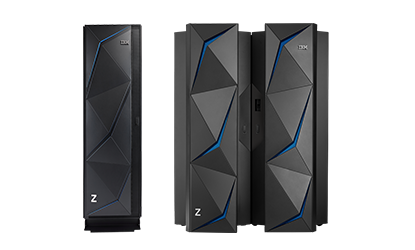 Boosts customer-facing systems performance with IBM z14. See how customers are winning with faster insights. Getting started with z/OS data set encryption. Review security practices for running Linux on IBM z14. 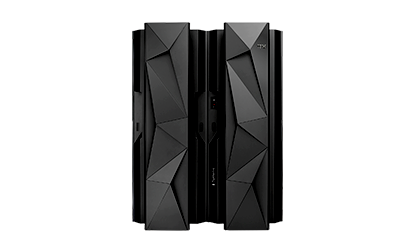 Find the latest Redbooks for IBM Z. See how to modernize apps with a zero-cost, no installation trial. Create scalable RESTful APIs securely from your critical applications on the mainframe. at zero cost, and with no installation required. Network and learn at the event for next-gen IT – from AI to Z. Get expert advice on how to jumpstart your DevOps transformation. Stay up to date and join us at an upcoming event.